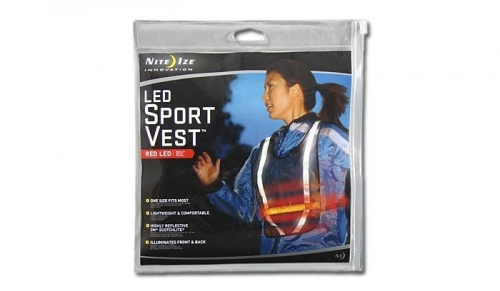 LED Sport Vest. For walking or running with your dog after dark. Lightweight and highly reflective. Bright LED illuminates both front and back. Be seen, be safe.